Updated 9 a.m. Eastern Dec. 2 with revised launch date. 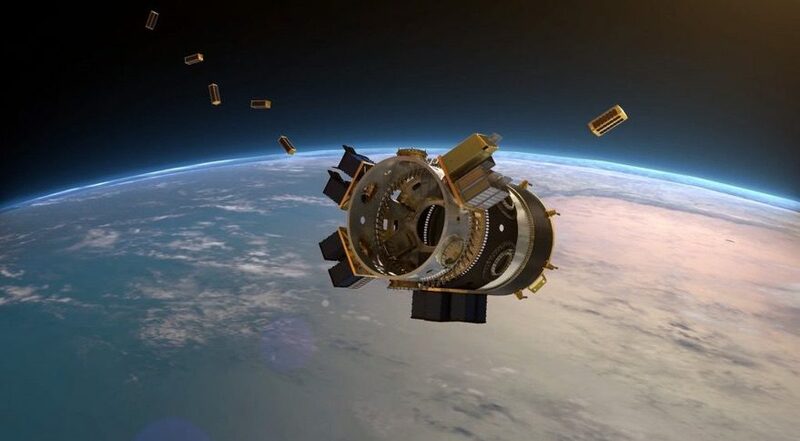 WASHINGTON — As SpaceX prepares to launch a Falcon 9 carrying dozens of small satellites, some experts are worried that it will be difficult to track and identify the satellites once in orbit. The Falcon 9 flying the SSO-A mission for Spaceflight Industries is currently scheduled to launch Dec. 3 from Vandenberg Air Force Base in California. The launch, once scheduled for Nov. 19, was delayed first by additional inspections of the Falcon 9 and then by poor weather at the launch site. The launch slipped again from Dec. 2 in order to perform additional checks of the rocket’s upper stage, SpaceX announced late Dec. 1. SSO-A is a “dedicated rideshare” mission with no large primary payload. Instead, the Falcon 9 is carrying 64 small satellites for a variety of government and commercial customers. Those payloads range from the STPSat-5 spacecraft for the U.S. Air Force’s Space Test Program to Orbital Reflector, a cubesat developed by the Nevada Museum of Art and artist Trevor Paglen that will deploy an inflatable sculpture that will remain in orbit, visible from the ground, for several weeks. The number of satellites on the mission has changed, with the company reporting earlier this year more than 70 satellites would be on the mission. Christie Melby, a spokesperson representing Spaceflight, confirmed the payload for the mission changed from 71 to 64 satellites. “Manifests can change leading up to the launch for a variety of reasons, including payloads not being ready, the right licensing not being secured, etc.,” she said Nov. 27, adding the company had no plans to publish a final manifest of payloads on the launch. That large number of satellites, while not unprecedented — an Indian Polar Satellite Launch Vehicle placed 104 satellites into orbit on a single launch in February 2017 — the launch does pose challenges for keeping track of the satellites after they’re released from the rocket’s upper stage. Some experts are worried that neither Spaceflight nor the Air Force are ready to handle that work. “It remains unclear how prepared we are to track & ID passengers from the SSO-A launch in a timely fashion. I am still very concerned,” said T.S. Kelso, senior research astrodynamicist for Analytical Graphics’ Center for Space Standards and Innovation, in a Nov. 19 tweet. He had earlier warned to “be prepared for chaos” after the launch. In a Nov. 5 blog post, Spaceflight’s Armand Awad said the mission “raises natural concerns about potential collisions between spacecraft causing orbital debris.” To address those concerns, the company ran simulations of the satellite deployment to develop a strategy for avoiding collisions during that process, one later vetted by the NASA Orbital Debris Office. The company also coordinated its plans with 18 SPCS. “By initiating discussions with the 18 SPCS, we’ve been able to provide them with the information they need to minimize risks to currently orbiting space objects,” Awad wrote. Kelso, though, didn’t think those steps were sufficient. “Spaceflight seems primarily focused on the potential for ‘recontact’ among their payloads, which is a minor issue (since it would happen at low velocity) and only affects the payloads from that launch,” he said Nov. 24. Kelso said his issues are twofold. One is the difficulty tracking the satellites to produce good orbits needed to determine collision risks with other objects. “Past large multi-payload deployments have taken weeks to produce orbits for many of the objects and those started with good data from the launch provider on where those objects were expected to be at deployment,” he said. In a Nov. 29 statement to SpaceNews, Spaceflight provided more details about how it is working with its customers to improve the tracking and identification of the SSO-A payloads. The issue of how to best manage deployments of large numbers of satellites has attracted the attention of the Federal Communications Commission, which included some discussion of the topic and a request for comments in a notice of proposed rulemaking commissioners unanimously approved at a Nov. 15 meeting.